LEGAZPI CITY (Jan 31) – Alert Level 4 remains over Mayon Volcano said PHIVOLCS Lignon Hill Mayon Volcano Observatory, Resident Volcanologist Ed Laguerta said in an interview over DZGB News Wednesday. 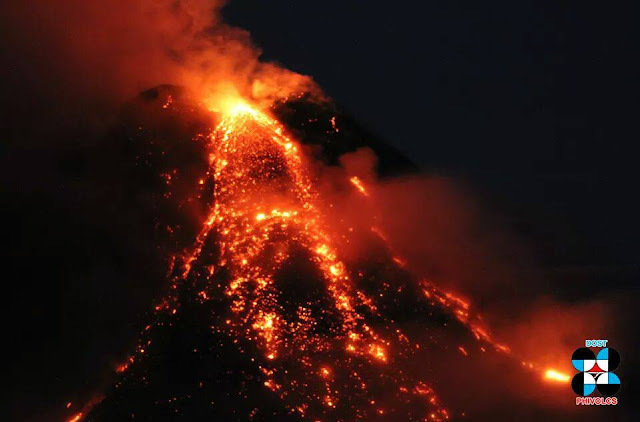 Mayon Volcano continue its lava effusion at an increased volume and is now flowing at Bonga Channel – Padang side, Legazpi City and Basud Gully fronting the municipality of Sto. Domingo, Albay.Result of the aerial inspection disclosed that Malilipot and Tabaco City has notable pyroclastic flow but remains at the upper portion of the volcano. Intermittent short-lived lava fountaining to 200m heights occurred throughout the night.